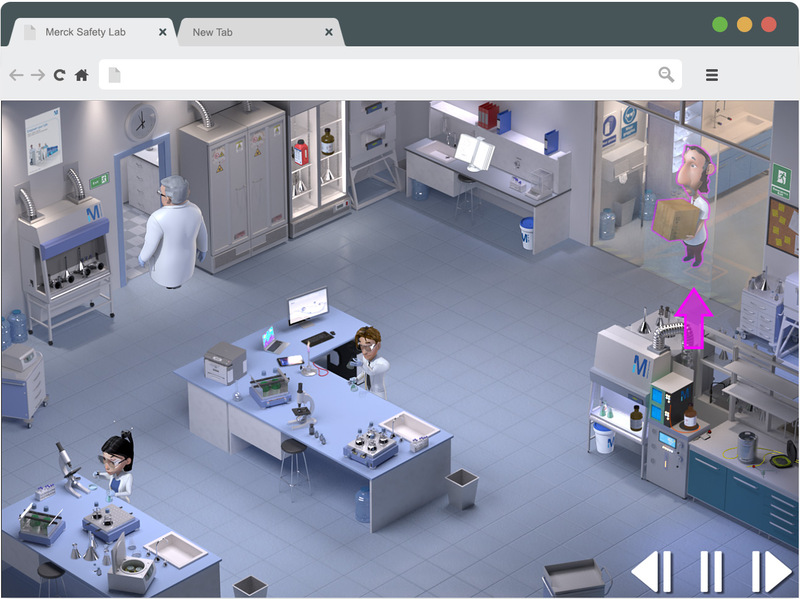 Merck Millipore – one of the world’s leading pharmaceutical companies – wanted to educate their staff in lab safety in a browser-enabled “edutainment” format. Company employees should learn lab safety rules in an entertaining and accessible manner. The obvious solution was a a browser-game! It can be incorporated into Merck’s web presence and be experienced on any online device. “Players” test their lab-safety knowledge by playing through charmingly and fully animated multiple choice levels with final scores. The game is part of Merck Millipore’s official lab safety guide on the company website. Merck also uses it at company presentations, promotional events and for corporate training purposes.